Charter Flight Group specializes in private jet flights, whether you need to fly into Kansas City or out to another destination, domestic or globally. With over 30 years experience in private jet charters, CFG is a company that many have come to rely on when seeking to avoid crowded airport terminals, long security lines, and unreasonable layovers. Charter Flight Group has been in business so long for a couple of very good reasons: Safety, customer service, and knowledgeable staff. With a fleet spanning everything from light, single engine turbo prop planes to massive jumbo jets; CFG has what you need, when you need it. We also provide On-Demand, one ways, and empty legs flights. Our private jet consultants are available 24 hours a day, 7 days a week to see to it that you get the flight you need, when you need it. When planning a private jet charter flight to Kansas City, many like to choose the Phenom 300. This is because it comfortably seats 7, can travel to altitudes of 45000 feet, and has a range of about 2000 nautical miles at a speed of 441mph! That is some serious performance for a light jet. Indeed, with that range in a private charter jet, nearly every major city in America has easy, non-stop flight access to Kansas City. 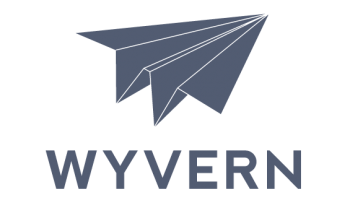 Charter Flight Group has ensured that every jet in the fleet is inspected and maintained according to the highest industry standards, using the services of both WYVERN and ARGUS to ensure, not only compliance with all FAA regulations, but also to provide our private charter jet clients with the peace of mind that comes from knowing they will arrive safely at their destination and on-time. We believe this commitment to safety is one key to our success. When you charter your private jet flight to Kansas City, be sure to convey to your expert consultant exactly what you need. There are two primary airfields on which to land and depending on the reasons for your private flight and the demands of the jet you choose, your private jet consultant will help you make the best choice for you. We believe that the client is the boss and we see to it that you are treated like royalty. That is why we choose only pilots and flight crews with stellar records of service in the et charter industry; in fact, a less-than-perfect record from any of our applicants, be they ground or flight crews, means that they must seek employment with one of our competitors. We only hire the best because that is what you deserve.In Kansas City, the two airports that you will fly into are Kansas City International, located to the northwest of the city beside I-435 and Charles B. Wheeler Airport, located in downtown Kansas City, right alongside the river. The difference between these two airports is seen very quickly by private jet charter clients. Whereas Kansas City International serves mainly commercial flights, Charles B Wheeler, dedicated by Charles Lindburgh in 1927 as the city’s first airport, ceased to commercial traffic many years ago and now serves mainly private corporate and charter flights only. The clear choice for most private jet charter flights is Charles B. Wheeler. Originally a cattle town, flying into the city one can still see the livestock yards to the north of I-35. It is a spectacular view than many flying into Kansas City International fail to appreciate. As for things to do, well, Kansas City has naturally grown considerably since those early days on the western frontier. Besides major sporting venues, museums, trail rides, spas, amazing golf courses, fountains, theaters, and art galleries, some of the must dos are the Harley Davidson Factory tour (rev your engines), Hallmark Visitors Center (yes, headquarters of Hallmark cards), and Missouri Town (a step back in time to 1855). However, Kansas City is not just for fun and pleasure. 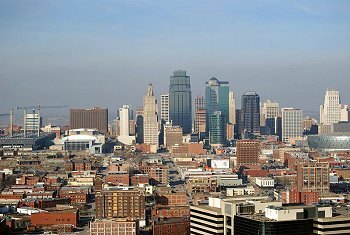 Business interests abound in Kansas City, with several Fortune 1000 companies making this their home. Notables include H & R Block, Crayola, Dairy Farmers of America, Kansas City Southern (naturally), Sprint-Nextel, and oh, don’t forget Russell Stover Candies just to name a few. So whether you are booking your private charter jet flight for pleasure or for business, there is plenty of both in Kansas City. 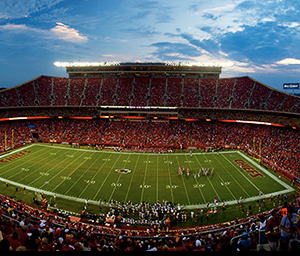 Why Choose Charter Flight Group for Your Private Charter to Kansas City? As previously mentioned, we strives to maintain the standards of service, reliability, and safety that put us on top in the private charter jet industry. This effort includes ensuring that every private charter client is treated with the same respect we would give our parents or the President. We maintain every private luxury charter jet in optimal operating condition because we understand that a safe aircraft provides a comfortable, relaxed flight and ensures that our clients arrive on-time and rested. We believe the choice is obvious and after a single flight in any of our private charter jets, we know it will be clear to you as well.